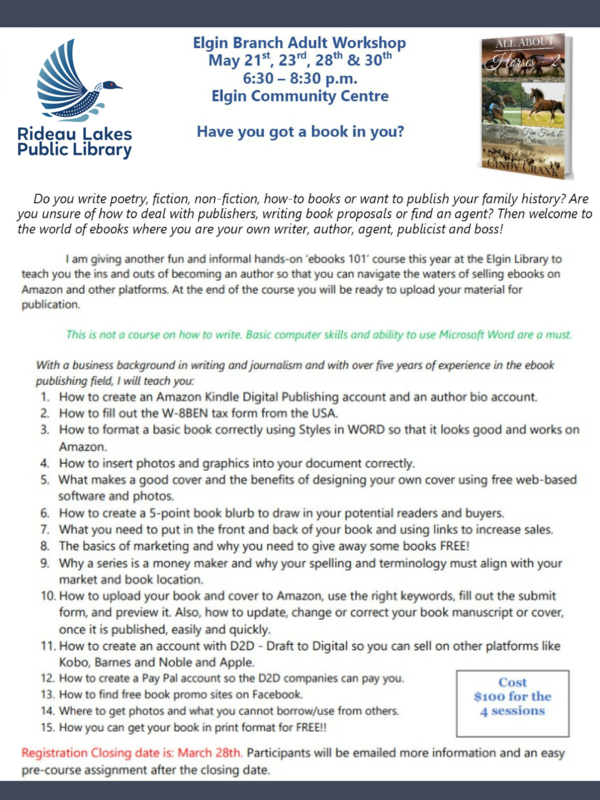 Hands On EBooks 101 Course at the Elgin Branch. Do you have a book in you? Become your own writer, author, agent, publicist and boss! Register now with Laura Lee. Closing date is March 28th. For full details on this course click here.